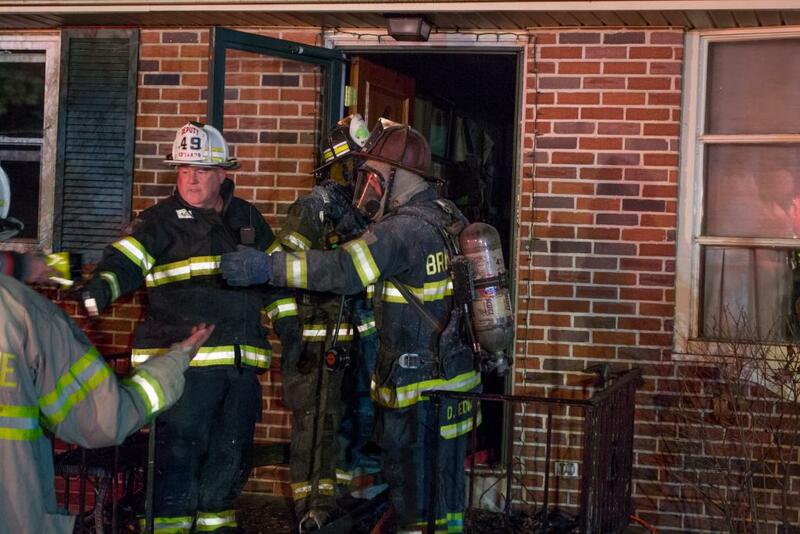 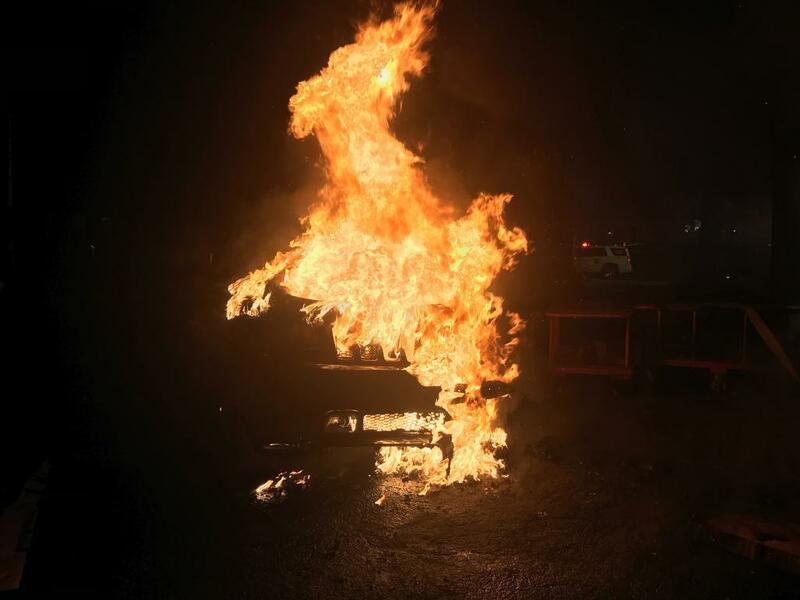 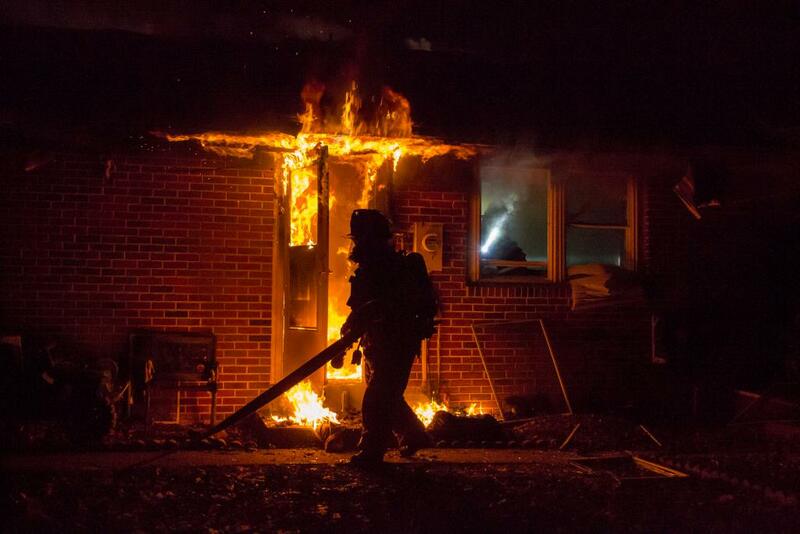 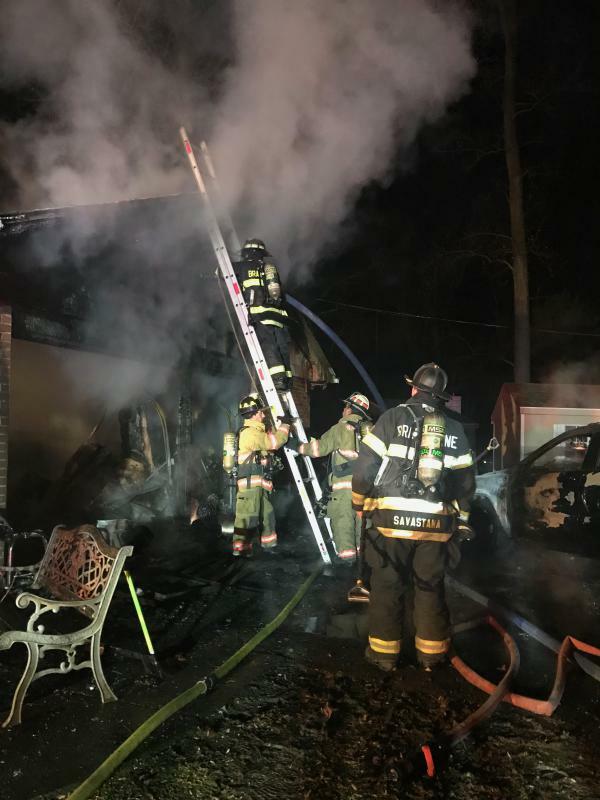 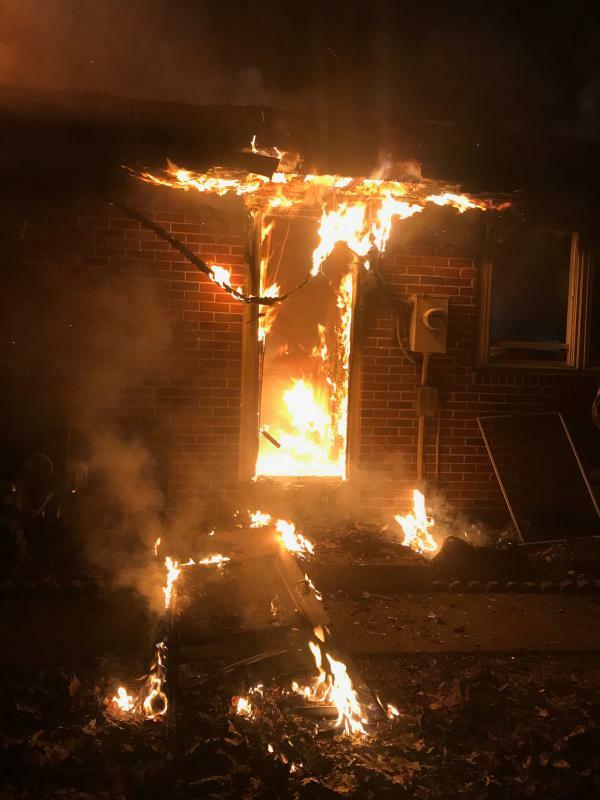 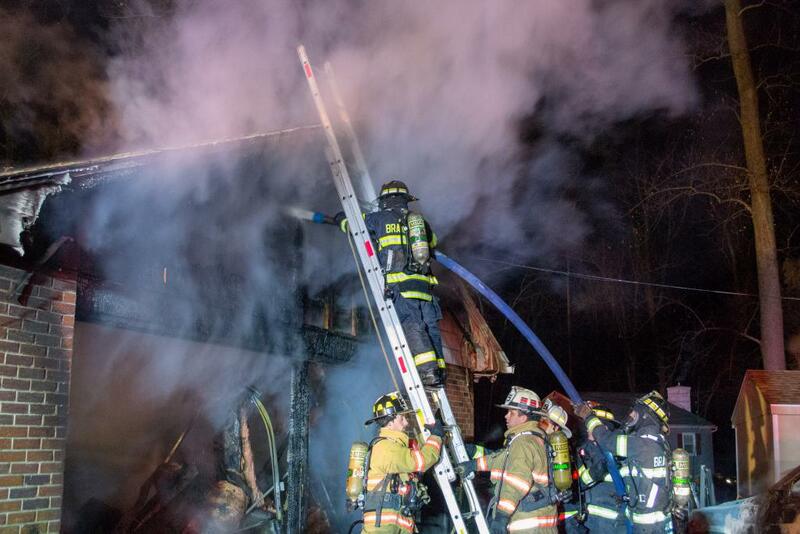 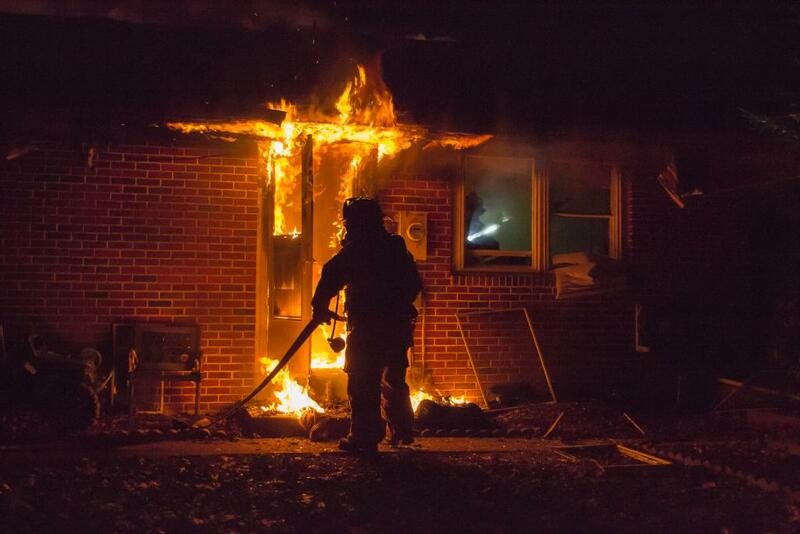 On Friday evening January 11th the East Brandywine Fire Company volunteers responded to Caln Township to assist the Thorndale Fire Company on a house fire. 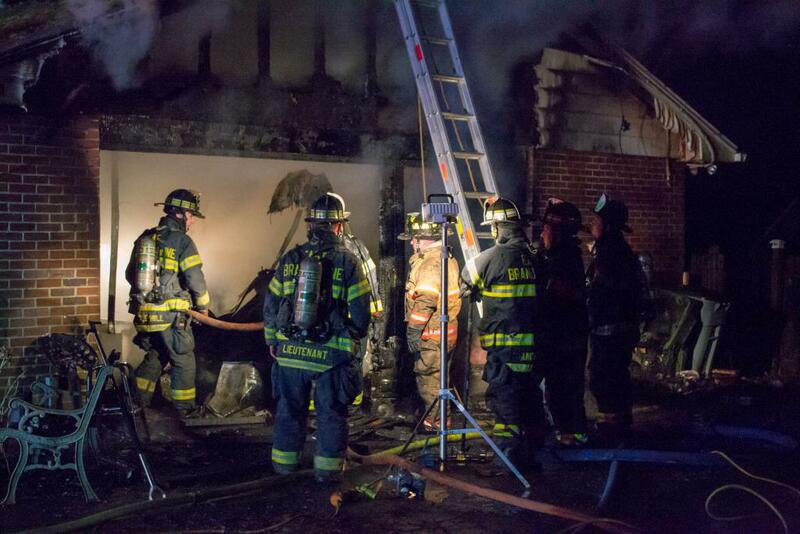 Several companies were dispatched for a reported fire in an attached garage. 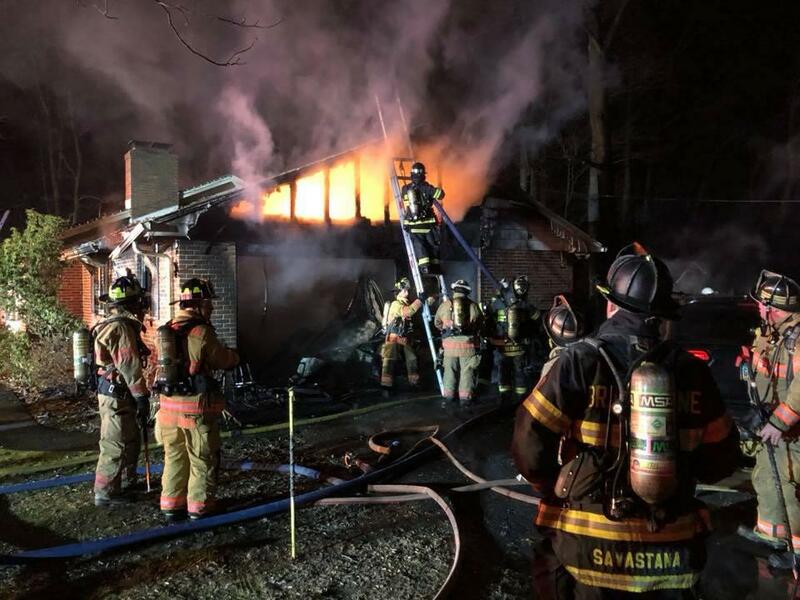 Once Chief 38 responded he was advised that the Chester County 911 Center was receiving numerous calls reporting a working fire. 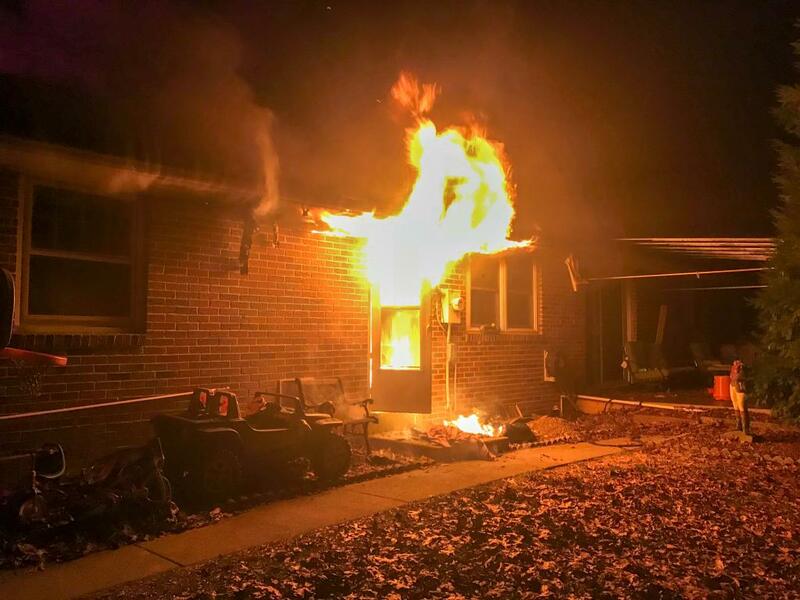 The first apparatus on scene reported heavy fire from the garage of the home and quickly deployed a handline to extinguish the fire. 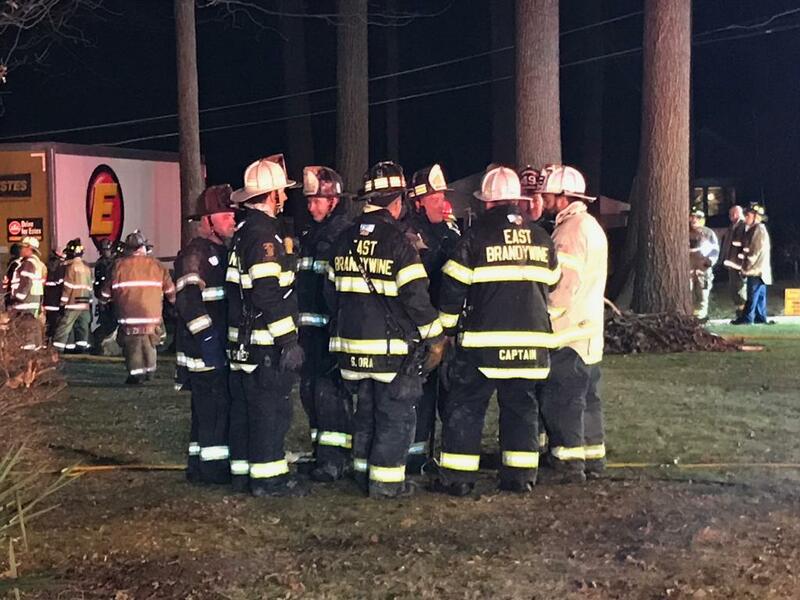 This is an area of Caln Township that doesn't have hydrants which required a 1st alarm tanker task force to be dispatched to have several fire trucks that carry large amounts of water respond to the scene. 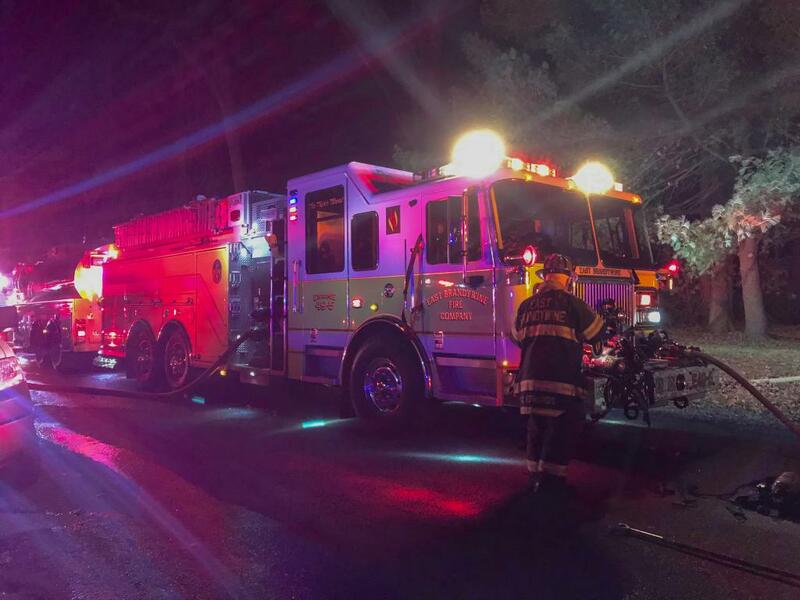 This includes our very own Engine 49-5 which was on the initial dispatch and arrived quickly to help maintain a water supply at the scene. 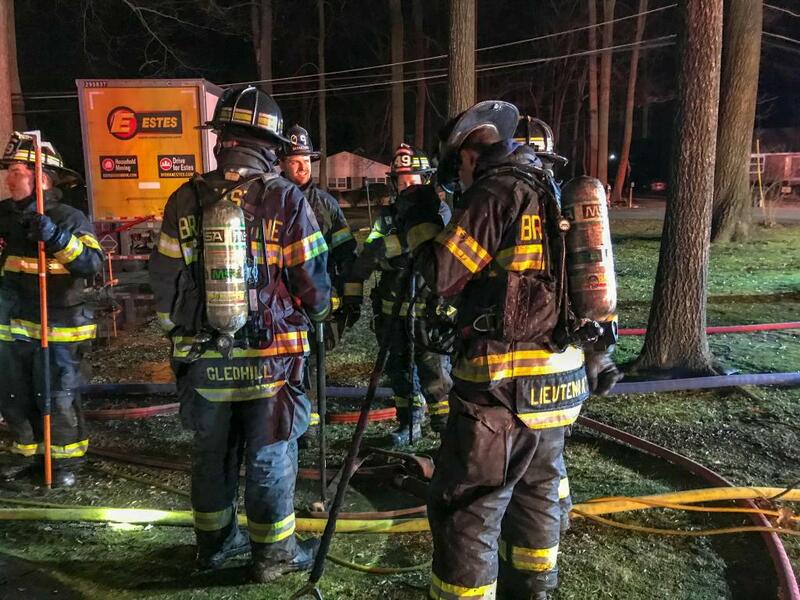 Crews worked in two parts, there were crews at the fire scene working to extinguish the fire and crews down the road working to maintain a constant water supply to those at the fire. 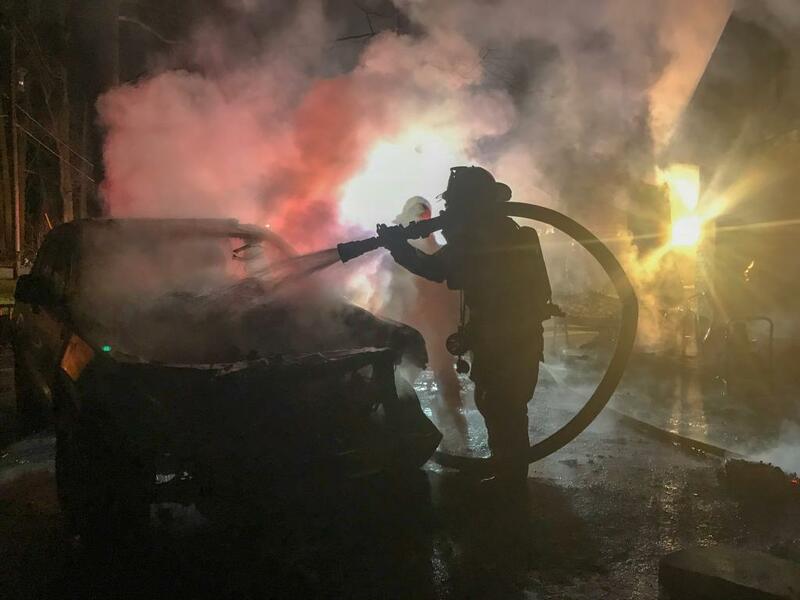 All companies worked very well together and were able to contain the bulk of the fire to the garage and area just outside of it. 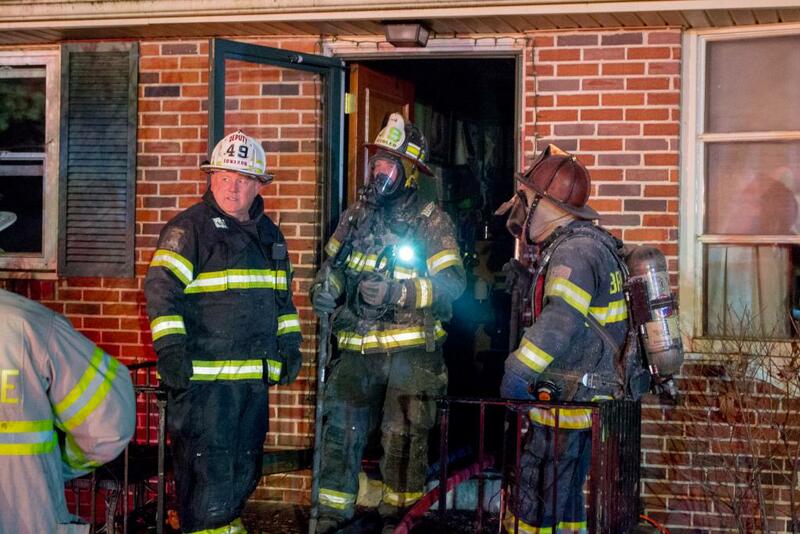 Crews remained on scene for several hours performing overhaul making sure the fire was fully extinguished. 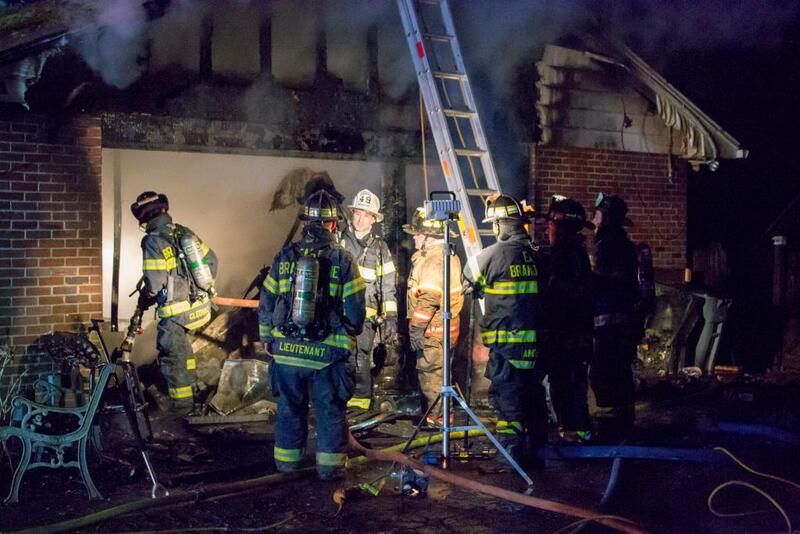 Our thoughts are with the homeowners who have been impacted by the fire. 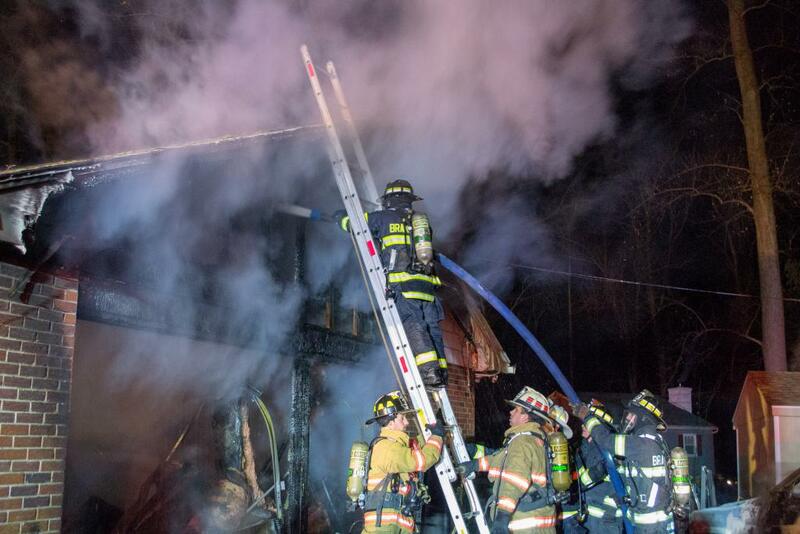 Also we would like to extend our thanks to the Honey Brook Fire Company for covering our station while crews operated at the scene.